If you need to make a quick $100 overnight but are hesitant to let a stranger sleep in your bed à la Airbnb, Turo has you covered. Instead of sleeping in your bed, a stranger will simply pick up your keys and take your car for a spin. The concept came to life in San Francisco in 2009 and has grown to offer its service in over 4,000 cities across the country, including Charlotte. Users simply log on and, much like Airbnb, specify their time frame, preferred car type and the features that come with it, and choose from available models. Cars in Charlotte include the practical (2006 Honda Odyssey at $45/day), the luxurious (2012 Land Rover Evoque at $106/day) and the kind geared for adventures (2014 Jeep Wrangler at $84/day). Descriptions of the car include price, features, a physical description and reviews and like Airbnb, some cars are set up to be instantly booked and others will be delivered to the renter free of charge. You bet. The big things to pay attention to are age restrictions, and the important numbers are 25 and 30. Anyone under 25 must pay a “Young Driver Fee,” which comes out to 20% of the total trip cost. For drivers 30 and under, car choices get narrowed down; they’re unable to rent “high value” (vehicles that come in at $50,000 or more on the market) or “specialty” (model year 1990 or older) cars. Looking to hand over your keys? If you’re looking to list your car, it’s simple. 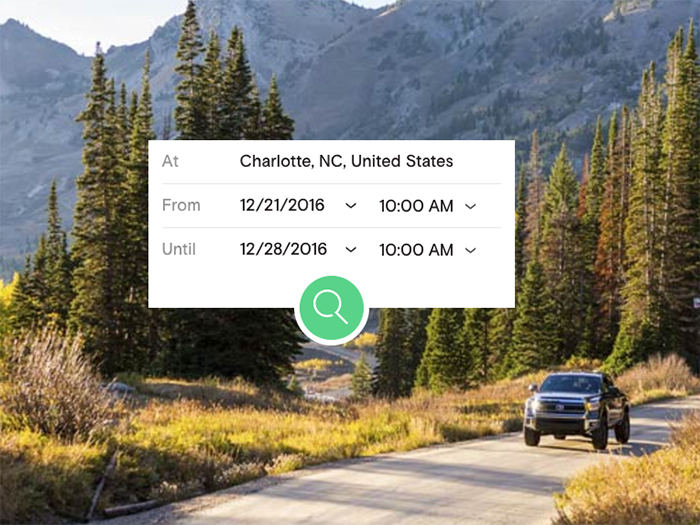 Listings are free and while listers can manually decide the rental price, Turo will dynamically set the car’s price based on the market value of the car, location and time of year to give users the best income results. 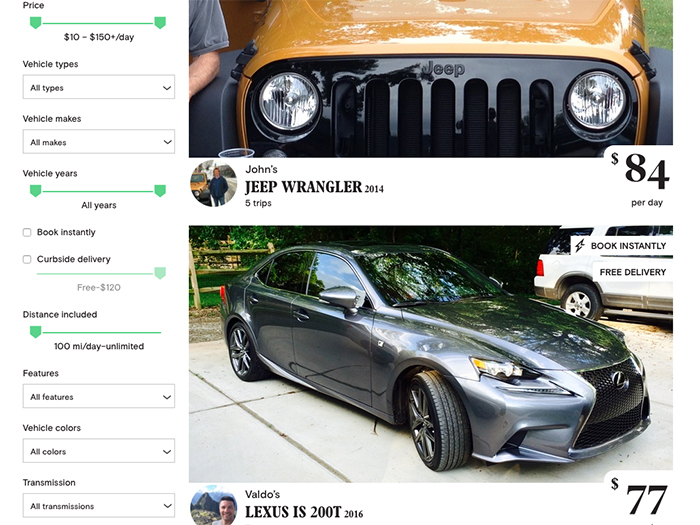 On average, people who list their car on Turo bring in $720 per month. I’m a little nervous to rent my car to strangers. Turo gets it, and not only runs extensive background checks on renters, but also provides owners with $1 million worth of liability insurance, meaning cars are covered against theft and physical damage (unless owners waive their protection and stick with their own commercial insurance).